Rufus Frowde read music at Oxford University (where he was Conductor of the Oxford University Philharmonia, Organ Scholar of Merton College and a tenor in Schola Cantorum). He then became Organ Scholar of Worcester Cathedral. In 2003 Rufus took up his current post as Organist and Assistant Director of Music at the Chapel Royal, Hampton Court Palace. He combined this with postgraduate study in Choral Direction and Church Music at the Royal Academy of Music, being awarded prizes in both disciplines. Rufus appears on the Divine Art and Diversions labels and has participated in workshops with the BBC Singers, the National Youth Choir of Great Britain, the Royal Academy of Music Chamber Choir as well as conducting in the London Master Classes under Benjamin Zander. 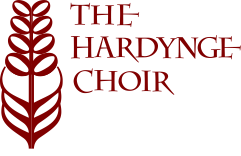 Current conducting appointments include Surrey Youth Choir, VIVAMUS (Chamber Choir) and Dacorum Community Choir (founder), with whom he has recently conducted Jonathan Dove’s community opera ‘Tobias and the Angel’. He has also formed his own professional group, PAEAN. Rufus is a passionate educator and is heavily involved in the work of Hertfordshire Music Service as an orchestral conductor and animateur. Recent performances include numerous UK cathedrals, the Royal Albert Hall, St Martin in the Fields, St John’s Smith Square (with Emma Johnson), the Spitalfields Festival, New Chamber Opera, La Madeleine (Paris), Kaunas Cathedral (Lithuania), St. Thomas’s (Leipzig), Cologne Cathedral and Neresheim Abbey (Germany), as well as Dave Brubeck’s Cantata The Gates of Justice (European Premiere). He accompanied Rossini’s Petite Messe Solennelle in Rome under the direction of Sir David Willcocks. He has also accompanied the trumpeter Crispian Steele Perkins and played continuo on a UK tour with the acclaimed violinist Lara St John and the London Baroque Ensemble. Contemporary music also features highly in Rufus’s diary and he has conducted numerous premieres including works by Richard Allain, Sasha Johnson Manning and Will Todd. 2014 will include his first organ recital at Westminster Abbey. On the lighter side, Rufus is a regular deputy pianist in the Palm Court Quartet at the Ritz Hotel, London and has appeared as a violinist with Gene Pitney on a UK tour and with the Rock Band EYELASH on their debut album ‘Recession’. He is a regular contributor to Classical Recordings Quarterly and has recently been awarded Her Majesty’s Diamond Jubilee Medal. 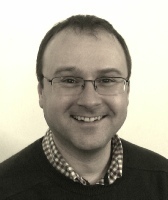 Matthew Woodward - Accompanist and Deputy Musical Director. Matthew grew up in St Albans and was a John Clough Bursary winner at St Albans School. He studied the piano with Isobel Beyer and went on to read music at Royal Holloway and Bedford New College (now Royal Holloway University of London). After a brief spell in the catering industry he trained as a teacher and, until very recently, taught music at secondary level. He now teaches the piano privately and at a number of local preparatory schools. Whilst not teaching, Matthew is kept busy as an accompanist and répétiteur for soloists and groups in St Albans and the surrounding area.